[Function optimization] Automatic email sending function is now available! Start to reduce your customer service manpower today! [New function] Email function is now available! [Function optimization] Excluded Tracking for saving your tracking quota is now supported for 5 new platforms! [New function] You can upgrade your seller account to track more order numbers! [New function] Choose the number of days you want to sync in your shop! We are acting upon the great feedback we've received from our users about excluding some carriers from the tracking list. Now the feature has been realized. Currently, carriers on these platforms can be set to exclude: Aliexpress, Ebay, Wish, and Woocommerce. 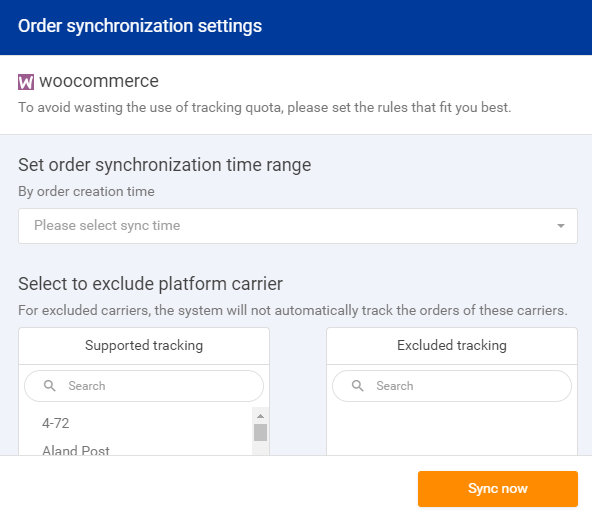 Once your shop has been bound successfully on 17TRACK, a prompt of Order synchronization settings will be shown on the page. After completing the settings, the system will immediately start to synchronize your orders from the shop. And the orders shipped by the carrier(s) you set to exclude will be auto-processed to Completed Folder. For example, if you set to exclude the carrier DHL, then your orders shipped by DHL won't be included in the Track If you need to track these orders, you can activate them manually in the Completed Folder. 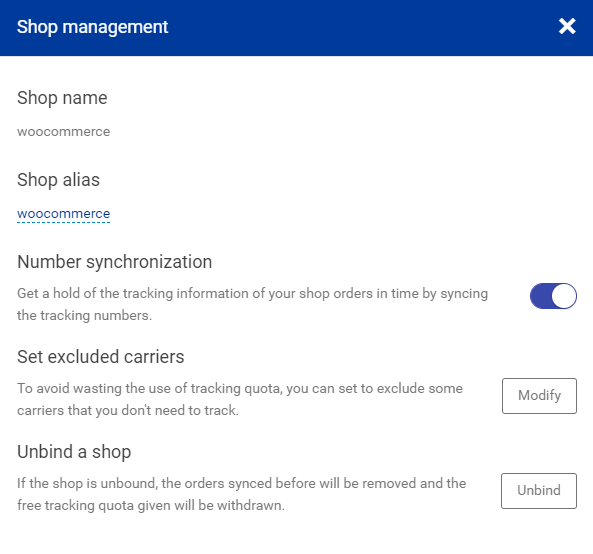 If you no longer wish to exclude a certain carrier, you can modify your settings in Shop Management at any time. For more information and further developments, please stay tuned! We always welcome your feedback, suggestions and great ideas. Feel free to contact us.